DAVID LE/Staff photo. 4/2/15. 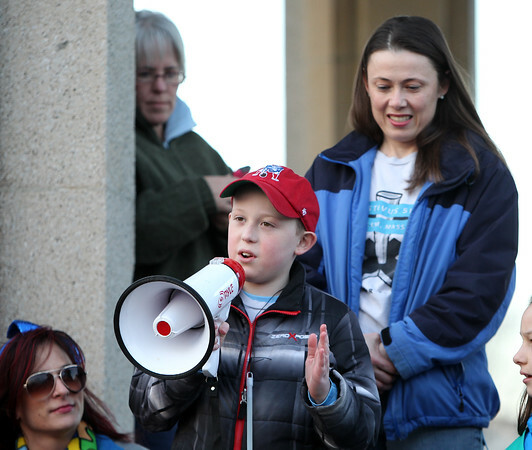 Twelve-year-old Trevor Johnson, diagnosed with Aspergers Syndrome, says a few words prior to the start of the fourth annual autism awareness walk, as his mother, Cindy Johnson, of Parents United of Salem listens.